Kathy and I attended the Smyrna breakfast for the day before Thanksgiving this morning. Food was good. Cancer survivor spoke. Puts perspective in thankfulness. 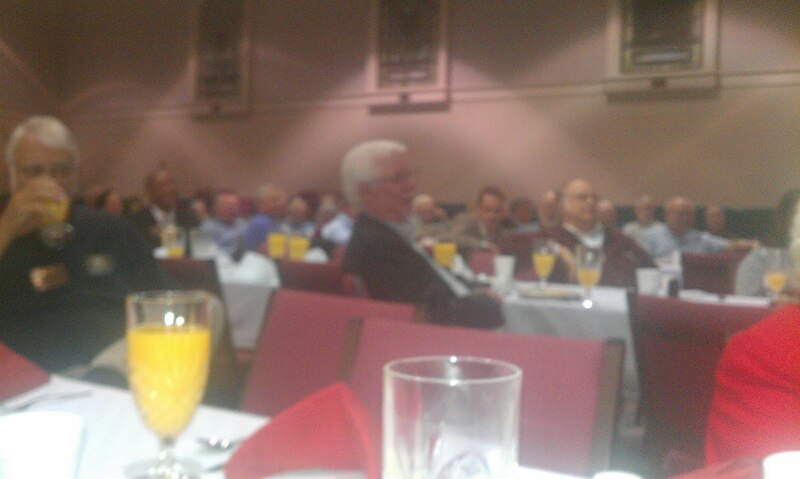 That's Charles Lawless from the Kiwanis in the forground of the picture.